Cottonwood Country Club is golf retirement community located in Sun Lakes, Arizona. Cottonwood Country Club is comprised of two country club (Palo Verde) operating under one HOA, providing residents and their guests of host of activities. 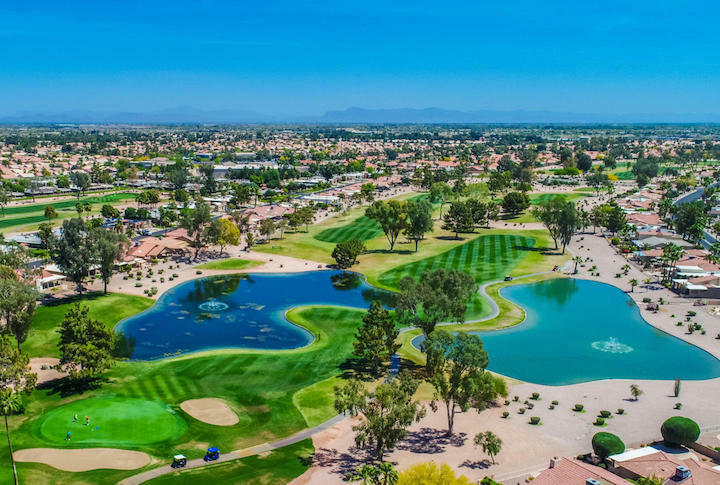 In Cottonwood Country Club you get to enjoy all that Sun Lakes has to offer: golf, swimming, pickleball, bocce ball, tennis, raquet ball, work our facility, restaurants, bars, entertainment, classes, workshops and so much more. Below are the latest listings for sale in Cottonwood Country Club. Our Russ Lyon Sotheby's Real Estate experts can guide you through the homes currently for sale and help with your search for the perfect home in Sun Lakes. To set up a private tour of any home you see here contact us at; 888-316-4622.